Inspired by our regularly updated Pinterest board Shutters Room Inspiration, we thought we’d highlight a few of our favourite ideas-to-steal from interior-designed private homes, restaurants and swanky hotels. You’ve decided that your windows need some shutters, but have you worked out what overall look you’re going for, down to the finer details? With our colour-matching service we can produce pretty much any shade you fancy, but sometimes it’s hard to pin down how your choice will work with the other elements in a room. For instance, what colour are your walls, window frames and furniture going to be? These are our full-height Plantation shutters in a gorgeous soft pink – so obviously we’re going to love them. But do you know what else we love about this bedroom? The fact that there’s a swoosh of soft curtain layered on top of the shutters. There is no good reason not to have both shutters and curtains – many people do – and if you opt for a fabric that’s heavier than this delicate sheer style, such as velvet or linen for instance, then insulation levels will be exceptionally high. It’s true what they say about the devil being in the details. 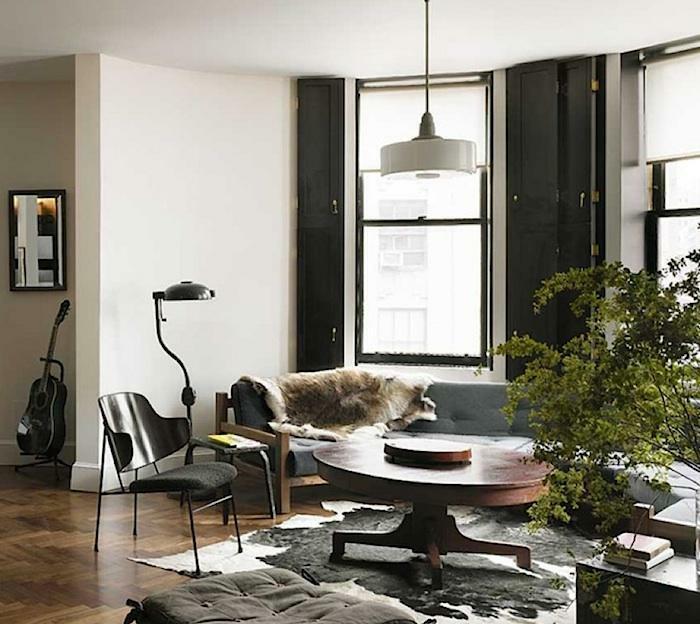 In this monochrome living area, in a hotel suite at the Ace Hotel in New York (designed by Roman and Williams), framing the windows in black then adding solid black shutters makes the white backdrop seem anything but ordinary. It’s a look that’s all about contrast. Living in a Victorian or Georgian home? Update your window frames with pitch black paint – it’s daring, but makes for a lovely and less expected result than white. Try adding it to your skirting boards too.In the Ace Hotel room, the use of black outlining reappears throughout the design – from the chair to the standard lamp – making for a strong, continuous look. Then again, white never looks ordinary when used on almost every inch of a room – as the interiors of the Grace Hotel in Santorini prove. This is the floaty, dreamy, all-white aesthetic that never really goes out of style, and it’s having a bit moment (again) just now. There are a few grounding contrast elements in this particular take on it – the striped cushions, flooring and the art – but to really make an impact make sure all the main elements are white, such as the walls, upholstery, lighting and shutters. 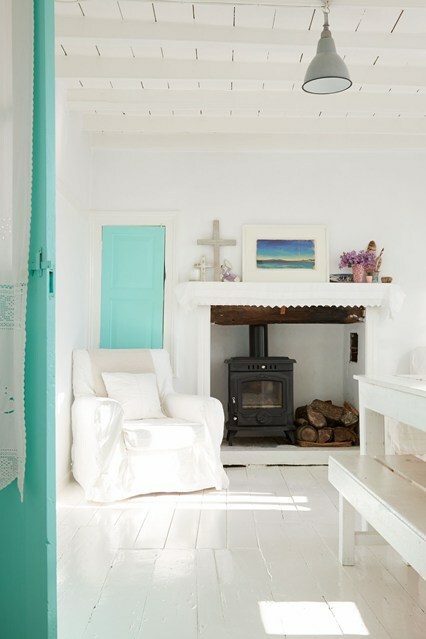 This room would also look striking with white painted floors – an easier update than tiles, if you already have floorboards. Similar but different, the shutters in this white living room add the only real splash of colour to proceedings – and we love that they are colour matched to the door. The turquoise blue gives the look a Mediterranean vibe, which, from our January perspective, can only be a good thing – even if you’re living in Macclesfield there’s no compelling reason not to go for this look. 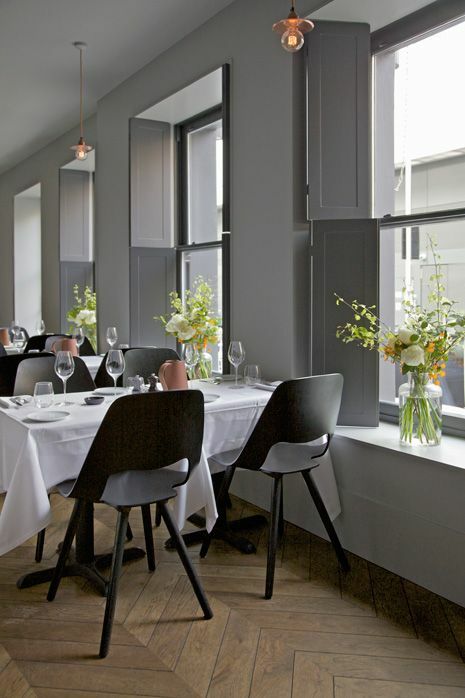 There are many things to love about the interiors at hotel One Leicester Street in central London, and a lot of them are in the dining room. Grey walls tone into darker grey solid wood shutters and the popular neutral shade looks especially good with rustic wood and warm metal details. Try in a living room or bedroom with copper or brass light fittings and accessories and textiles in bright shades that will pop out from the soft grey base.